Discussing competitive advantages created with machine learning, data governance and data science. What are you most excited to learn more about? Thanks to all who joined! Remember: Don’t miss out on Thursday’s #IBMML livestream from Munich, Germany. Register here: ibm.co/2r1CckP. Fast Track Your Data – Live from Munich! Be one of the first to see exciting new products, product evolutions, and partnerships, creating a brand new world of enterprise data, built on four essential elements infused with machine learning. Thanks for having us! See you all on Thursday's event. Q2: What should companies offer to attract and retain data scientists? A2: Attracting data scientists is partly compensation and partly interesting problems to solve. A2: The best data scientists are practically Holmes-like in rejecting boring problems. A2: Data scientists are mostly people too. They want to do meaningful work and create impact. 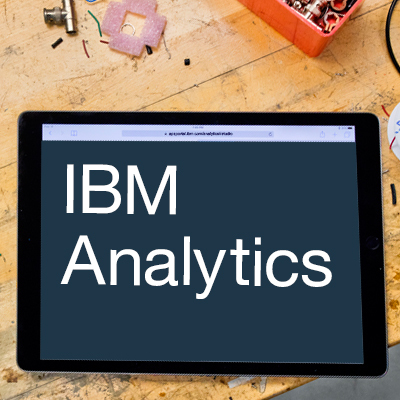 Give them the tools that facilitate analytics. Offer them projects with specific goals. Give them clean data. Data scientists are people, too! The best data scientists will come to you and stay if you give them exciting, challenging, perhaps world-changing projects. A2: Also avoid diluting the term data scientist - be sure you're hiring for the real thing and not an analyst. You can grow great data scientists internally if you give analytics professionals the opportunity to evolve their skills toward AI/ML/DL etc and apply it all to cool projects that make a difference. @bobehayes do you think it is going to shift now that DS is being built into the DNA of the new wave of apps and platforms? @Ronald_vanLoon where do you think folk need to start to make this happen? Make sure you know what kind of data scientist they are. There are a few different kinds. Hire the right type of data scientist for the right role. @Ronald_vanLoon can this be outsourced do you think? i.e. outside SME's teaching the old dog new tricks? @dez_blanchfield It's all about aptitude. The dog has to want to learn. @AyleeNielsen Totally... While I strive to solve specific problems, sometimes, exploration of other topics, examined in different ways is key to learning new stuff. @TrippBraden Dangerous territory if you're in business units! "Here's what you do should do." "Great, we'll ignore that." There is no consistency on value. The salary raneg for a sr #DataScientist is too wide. @craigbrownphd how long do you think folk need to play out, i.e. 90 day plan, 180 day plan, where's the best balance? @craigbrownphd do you think most DS SME's come for the money or the value of the role or compay? Keeping data scientists in your team will be tough in a market where they have beaucoups opportunities and they're networking like crazy. Give them brag-worthy stuff to do that will help them grow their status while staying on your team. Retention is easy. Tools. USing tools like #IBMDSX is a good way to retain good #DataScience resources. @dez_blanchfield They come for the money. They stay for the fun. @jameskobielus Agree... They like to show their work. Let them share their awesome insights. Also, let #datascientists work as a team of diverse data pros. Not one data scientist knows everything. Having a team helps you build up your ds capabilities. almost half were data scientists; a quarter were data engineers. Publicize your data science investments and efforts. If you're building new data divisions or centers of excellence, let the #datascience community know.